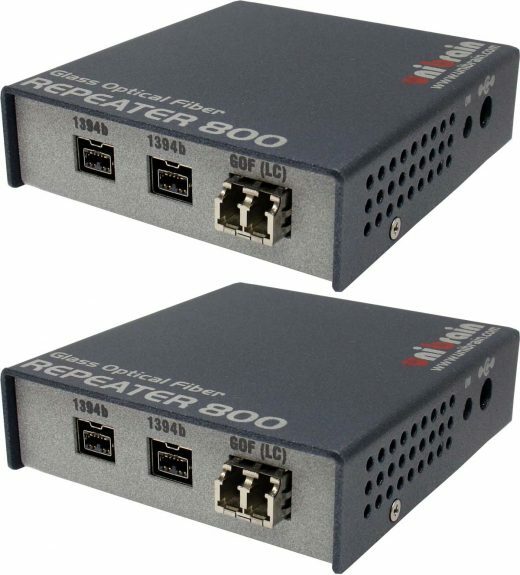 View cart “FireRepeater-800 PRO™ 5 port 1394b repeater” has been added to your cart. 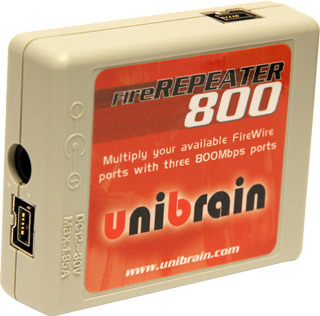 FireRepeater 800™ provides Three Fully backward compatible, (1394a-2000 Fully-Compliant) Bilingual 1394b Cable Ports at up to 800 Megabits per Second (Mbits/s). 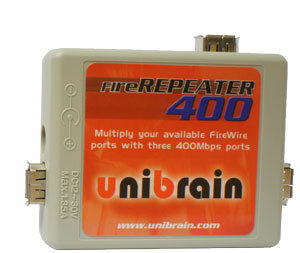 Fully Supports Provisions of IEEE P1394b revision 1.20 at 1 Gigabit Signaling Rates. Fully Supports Provisions of IEEE 1394a-2000 and 1394-1995 Standard for High Performance Serial Bus. External 8-40V power supply input (power adapter not included). 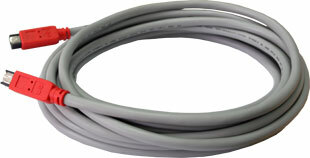 The 10m (33 ft) 1394b cable is available with 9 to 9 pin beta connectors (this product) or 9 to 6 pin bilingual connectors (order part #1637).